The female voice is indeed a beautiful creation, foremost among the pleasures of musical enjoyment. As an instrument, it can soar to unbelievable heights and then plunge to incredible depths. It can captivate and mesmerize, bewitch and beguile, tempt and seduce. 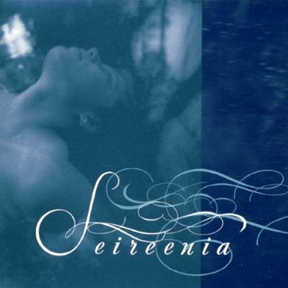 Seireenia explores the heavenly beauty of the female voice, collecting the best-known bands in the ethereal music genre. From the U.S., Europe and South America, Projekt has assembled a collection of songs that celebrate this natural splendor. Whether it be tightly woven harmonies or floating lead vocals, Seireenia lures the listener with its carefully sequenced selections. Exquisitely enthralling and enchantingly elegant . . . heed the tempting call of Seireenia and fall under its soothing spell. Featuring never-before-heard tracks from Black Tape For A Blue Girl, Mira, Amber Asylum and Faith & Disease; plus the first track in six years from Germany’s Stoa. Also featuring classic album tracks from ethereal and darkwave favorites Lycia, Switchblade Symphony, Love Is Colder Than Death, Rosewater Elizabeth, and introducing France’s Rajna.